To translate people’s use of nature into quantified metric, Global Footprint Network adds up all human demands that compete for what the planet renews, or more precisely, it sums up all the biologically productive spaces needed to regenerate this demand. This is what we call humanity’s “Ecological Footprint”. It includes space for food, fiber, timber, waste absorption (particularly CO2 from fossil fuel burning), and space to accommodate our roads and cities. For details you can visit data.footprintnetwork.org. 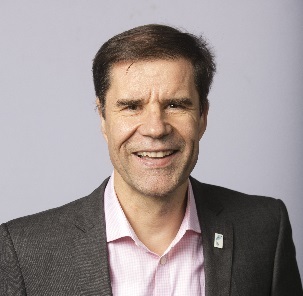 This article was co-authored by Mathis Wackernagel, Ph.D., who is the co-creator of the Ecological Footprint and CEO of Global Footprint Network. This international think-tank focuses on bringing about a sustainable human economy in which all can thrive within the means of one planet. Mathis’ awards include the 2015 IAIA Global Environment Award, the 2012 Blue Planet Prize, the 2012 Binding-Prize for Nature Conservation, the 2012 Kenneth E. Boulding Memorial Award, the 2011 Zayed International Prize for the Environment, an honorary doctorate from the University of Berne, and a Skoll Award for Social Entrepreneurship. 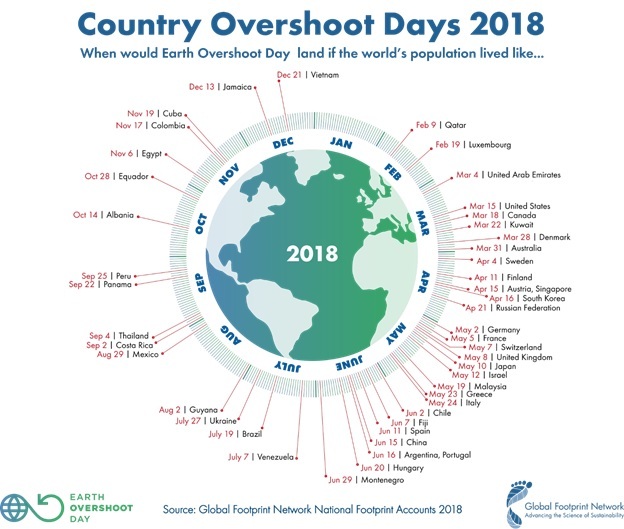 The Earliest Earth Overshoot Day. Ever. Bold Ideas for Financing and Regulations to Close the Energy Gap Schneider Electric Announces $100K K12 Bold Ideas Contest How are hospitals celebrating Earth Day?